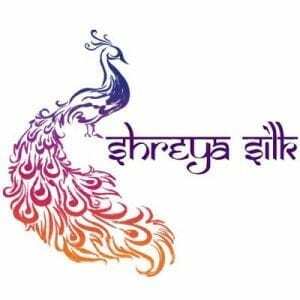 Shreya silks are made in India by pioneers and manufacturers of silk with more than 50 years experience in the silk industry. They are made from the finest quality mulberry silk and each yarn has been carefully designed and monitored to enhance the silk fibres and ensure that the finished product is of the highest quality – perfect for knitting, crochet and other crafts. Once woven, the yarns are then hand-dyed with the same level of care and attention. All the colours and colour mixes have been chosen by us to reflect a fashionable yet timeless colour palette. Any of the yarns can be dyed in any of the colours or variations you see, and we can even create colours specifically for you if you provide samples, or better still pantone or other colour references. The Shreya collection has 4 different yarn weights – one aran – Earl, two DK yarns and a 3ply lace. They are 100% pure silk, and stand out because of their unique qualities. Earl, Contessa and Queen are twisted yarns and are slightly denser than their wool equivalents (resulting in a slightly shorter yardage per 100g), but this means that they a) are a dream to work with as they do not catch or contain slubs, and b) can be used to create a huge variety of garments with either tight-knits for warmth in the winter and looser summer garments. Royale is a single ply dk yarn that is extremely soft and light weight (almost 50% longer than Contessa, our other DK yarn). Silk has long been valued for it’s versatility, strength and softness – and these yarns are no exception. Due to the process of hand dyeing yarn, some residual dye may remain. This is perfectly normal and mostly effects blues and red dyes due to their manufacturing process. We do however suggest washing all garments before they are worn to prevent colour transference. In the case of particularly bright colours, soaking the finished item in a salt and vinegar solution will help fix colours prior to washing. For more information about taking care of hand dyed yarn you can read our blog post. All yarns are finished by hand with label bands. They are wrapped with personal care and attention as I believe the service needs to be worthy of the product. I hope that you will agree that these really are ‘Luxury Yarns’ and are the raison d’être behind our business. Your wish is our passion and we are dedicated to giving you what you want.